Leaf segments from Capsicum annuum plants grown at 100 μmol photons m−2 s−1 (low light) or 500 μmol photons m−2 s−1 (high light) were illuminated at three irradiances and three temperatures for several hours. At various times, the remaining fraction (f) of functional photosystem II (PS II) complexes was measured by a chlorophyll fluorescence parameter (1/F o − 1/F m , where F o and F m are the fluorescence yields corresponding to open and closed PS II traps, respectively), which was in turn calibrated by the oxygen yield per saturating single-turnover flash. During illumination of leaf segments in the presence of lincomycin, an inhibitor of chloroplast-encoded protein synthesis, the decline of f from 1.0 to about 0.3 was mono-exponential. Thereafter, f declined much more slowly, the remaining fraction (≈0.2) being able to survive prolonged illumination. The results can be interpreted as being in support of the hypothesis that photoinactivated PS II complexes photoprotect functional neighbours (G. Öquist et al. 1992, Planta 186: 450–460), provided it is assumed that a photoinactivated PS II is initially only a weak quencher of excitation energy, but becomes a much stronger quencher during prolonged illumination when a substantial fraction of PS II complexes has also been photoinactivated. In the absence of lincomycin, photoinactivation and repair of PS II occur in parallel, allowing f to reach a steady-state value that is determined by the treatment irradiance, temperature and growth irradiance. The results obtained in the presence and absence of lincomycin are analysed according to a simple kinetic model which formally incorporates a conversion from weak to strong quenchers, yielding the rate coefficients of photoinactivation and of repair for various conditions, as well as gaining an insight into the influence of f on the rate coefficient of photoinactivation. 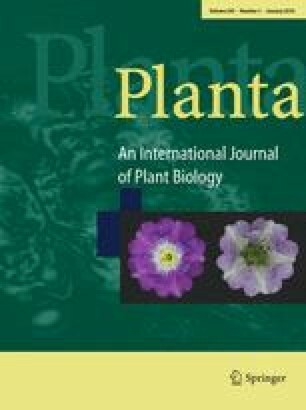 They demonstrate that the method is a convenient alternative to the use of radiolabelled amino acids for quantifying photoinactivation and repair of PS II in leaves.